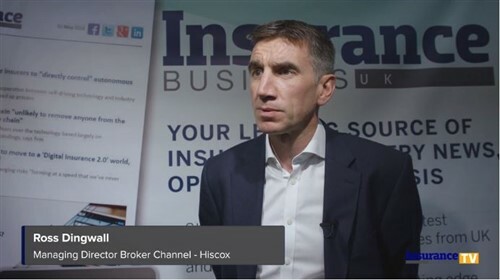 After almost a decade at Insure The Box, founder and then-chief executive Mike Brockman announced in January that he would be leaving the business to start his own insurtech firm, ThingCo. The London-based company, focused on developing the “next generation” of telematics, has since revealed that it is expanding into China – the largest automotive market in the world – setting the wheels in motion for growth. Insurance Business spoke to Brockman about his pathway into the industry, how he built several companies from scratch, and his biggest goal going forward. My journey into the insurance industry started as a trainee life insurance actuary. Bemused by the role, I was planning to leave when I was moved to the motor insurance department. I haven’t looked back since! I stayed there for six years before going into consultancy work for the actuary firm Bacon and Woodrow, where I developed their general insurance business. The experience gained in these roles led me to set up my first company, the actuarial firm EMB. In the years after starting the business it quickly earned global recognition as the number one specialist in non-life insurance, with 11 offices around the world and over 300 staff consulting to most major insurance companies. During this time, I became increasingly concerned about the high number of road deaths among young drivers. I could see that through technology and telematics data, the insurance industry could play a vital role in cutting the accident risk of these drivers and incentivise safer driving. So, taking a great leap of faith, in 2009 I left EMB to set up Insure The Box (ITB), which ultimately became the global pioneer in telematics insurance. It was hard work building a new company from scratch with a proposition that had failed for other insurers, but we knew it could and should work – and it did. I’m immensely proud to say our services helped save lives. After seven years and more than 800,000 insurance policies sold, it was time for a fresh challenge and a new opportunity to develop the next generation of telematics with the launch of ThingCo. With my team, Jonathon Valentine, CTO, and Richard Trebble, partnership director, we plan to deliver a completely new telematics solution employing AI, ADAS and intelligent voice to improve road safety and revolutionise the first notice of loss (FNOL) process. There have been many significant changes, most notably motor insurance being the first to apply statistical analysis to underwriting – previously, underwriters set premiums and pricing. The use of statistical data in motor insurance was one of the biggest transformational aspects the industry has seen. Another aspect which has provided big change is pricing motor insurance using general linear models, which provides more actuarial-based thinking into motor insurance. This continues to evolve as we assess risk which advances in technology has allowed. The launch of Direct Line also changed the distribution channel, from Lloyd’s syndicate-based to direct channels, allowing for a more customer orientated focus. Finally, behavioural data has brought about a fundamental change, allowing for a greater understanding of the customer’s needs. As in-car technology is transforming the risk for motor insurance, the industry needs to adopt a new way of working, leveraging data and connectivity to better serve their customers and allow for the next generation of change. I am lucky to say that I have loved what I’ve done in my career – insurance really is one of the best industries. One of my proudest moments was being awarded a lifetime achievement award from the Institute of Actuaries, and, also, meeting the Queen when I was awarded the Queen’s Award for Enterprise, twice – first in 2003 for innovation and then in 2007 for international trade. Aside from the awards, it’s good to know that I helped insurers as a consultant and had such an impact on the change in underwriting methodology. One particular achievement that stands out for me was during my time at ITB. We launched ‘Drive Like a Girl’ in response to the EU Gender Directive – no other competitors had a solution. I was told by many that telematics would never work. Proving that telematics insurance can indeed work, and that customers will embrace it if it’s sold and packaged in the right way, definitely stands out as a highlight – hopefully with many more to come at ThingCo. I see life as one big challenge because if it wasn’t, life would be very boring! Things will always go wrong, however, it is always people that become the biggest barrier: there is a lot of inertia against change. One of the biggest challenges is convincing people and colleagues that change isn’t a threat, it is the security of their future. And without taking some risk, you will never move forward, and without moving forward, you’re going backwards. Launching ThingCo with the goal to take telematics to a new level where we can fully embrace modern-day technology and deliver a proposition to consumers that would appeal to the mass market. In doing so, we can continue towards the ultimate goal of creating a much safer means of travel. A medical consultant. There are so many things that we don’t understand about our own bodies and I think it takes someone with a direct way of thinking to discover effective ways of solving these issues.